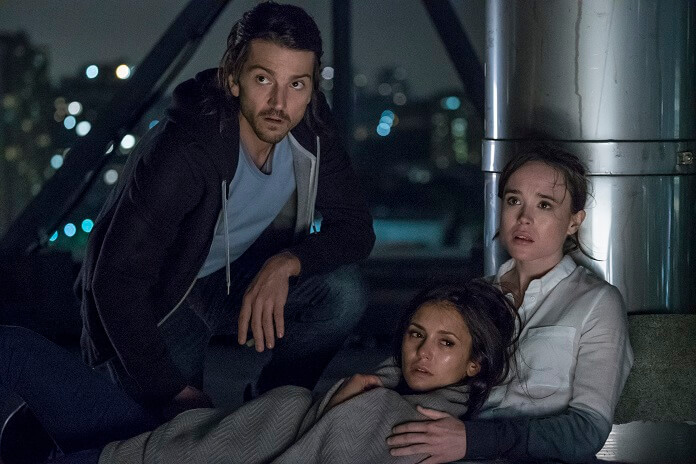 Columbia Pictures’ 2017 remake of Flatliners just premiered its second official trailer. Niels Arden Oplev (The Girl with the Dragon Tattoo) directed this new take on the story told in the 1990 film starring Kiefer Sutherland, Julia Roberts, and Kevin Bacon. 2017’s version features Ellen Page (X-Men: Days of Future Past), Diego Luna (Rogue One), Nina Dobrev (The Vampire Diaries), James Norton (Happy Valley), and Kiersey Clemons (Transparent). Ben Ripley wrote the screenplay and Laurence Mark, Michael Douglas, and Peter Safran produced the thriller. Columbia Pictures will be releasing Flatliners in theaters on September 29, 2017.